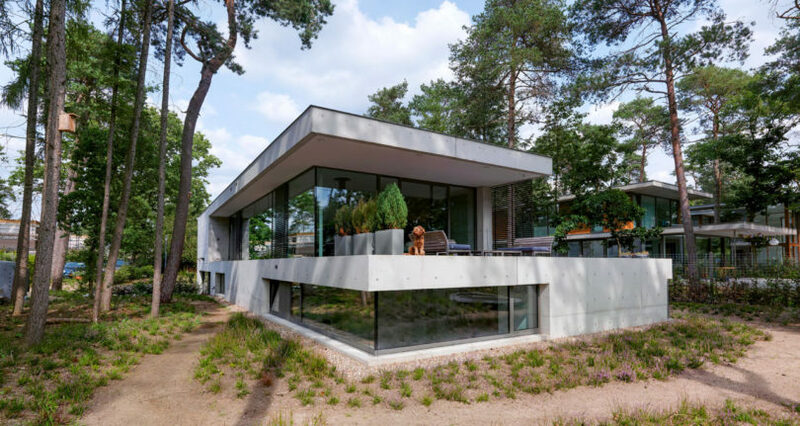 Located in the Netherlands, House Zeist is a residence by Bedaux de Brouwer Architects that sits in the forest at the village edge. 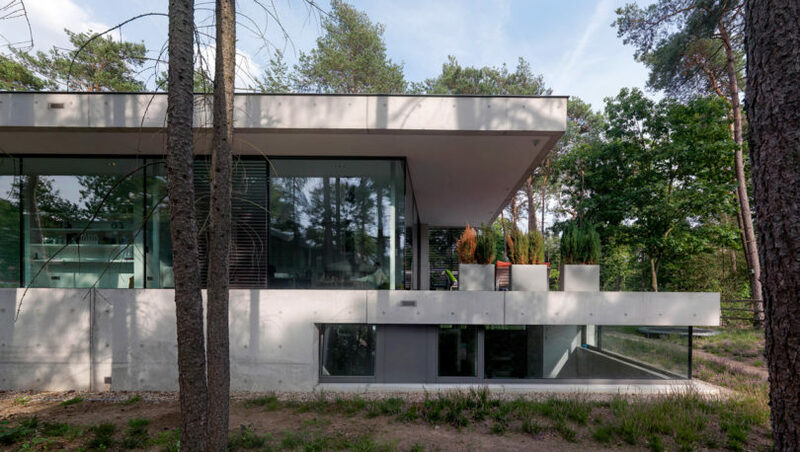 The structure’s walls are composed of concrete both inside and out with large expanses of aluminum framed glass. 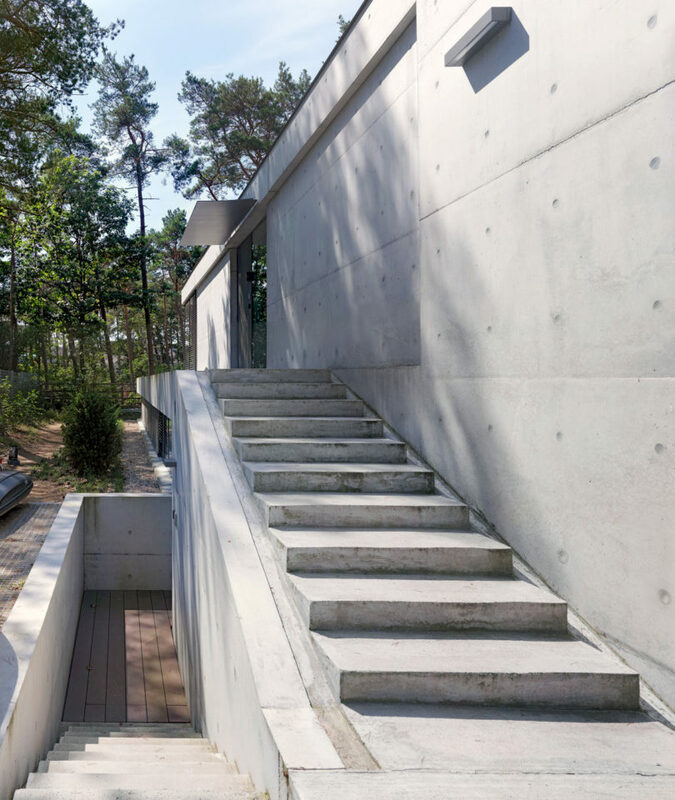 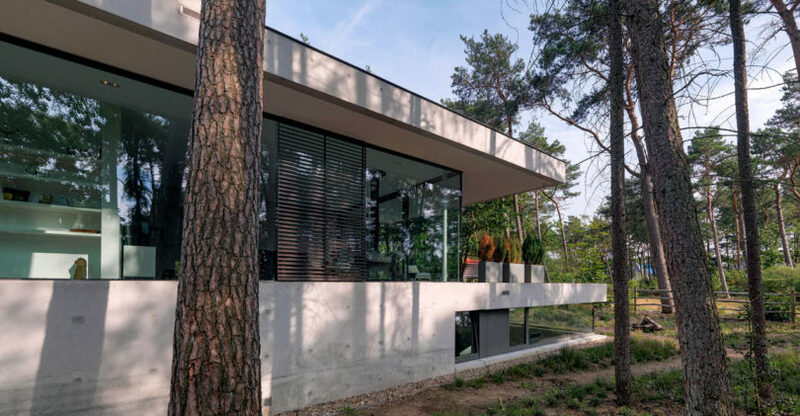 The concrete panels enhance the straight lines of the home’s exterior, as do the horizontal planes, which results in a beautifully modern and minimalist home that stands out amongst the trees. 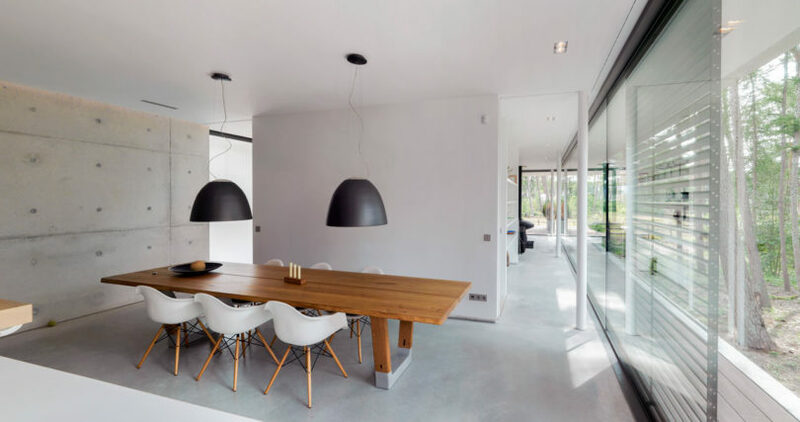 The main living quarters rise above ground level with floor-to-ceiling windows that span two sides of the home giving optimum views of the surrounding countryside. 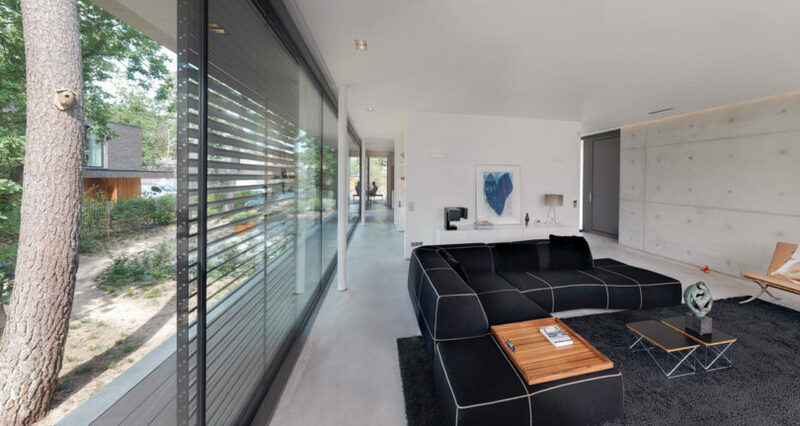 A partially covered patio extends from the back. 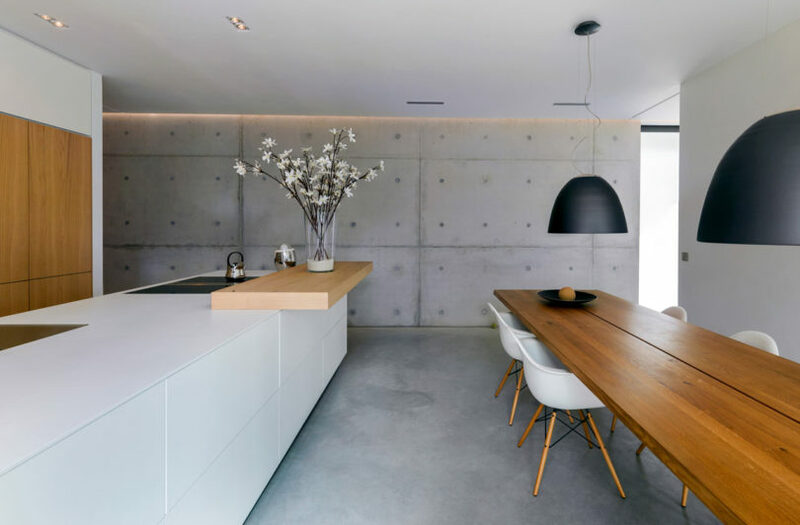 The same concrete panels seen on the exterior are used on the inside adding a raw element that’s paired with smooth white surfaces and wooden details. 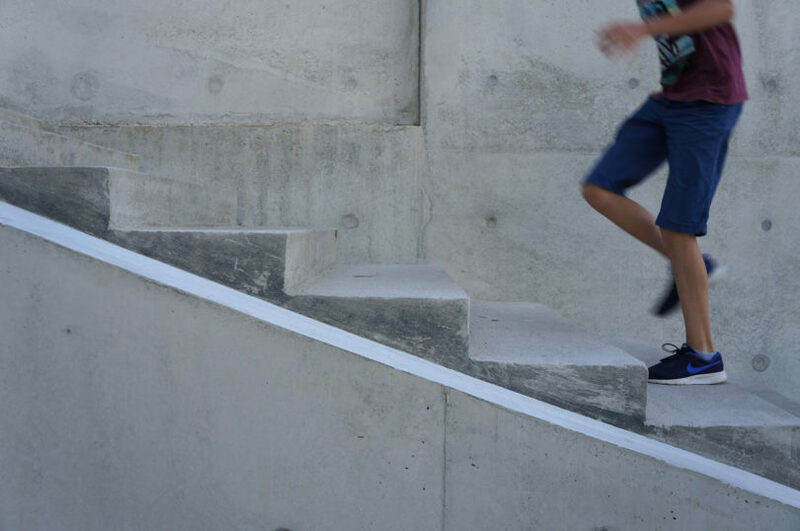 Photos by Michel Kievits and Peter Keijsers.